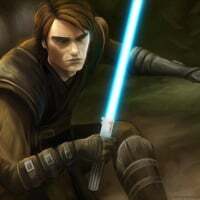 Was Obi-Wan made with Anakin in mind? They have amazing chemistry together & in HvV using their abilities in tandem with one another they guarantee a kill no matter who it is. Example: Obi-Wan mind tricks Darth Vader in which anakin follows up with passionate strike into both of them spamming him. Another example Palpatine being rendered obsolete when Anakin & Obi-Wan are sticking together. I'm sure you get it by now how the two of them make the entire dark side team obsolete just by sticking to together. If that is the case I like it but Obi-Wan should be able to excel on his own without needing his partner in crime.